Jim and Colleen Small may be small business owners, but they've won a big award. 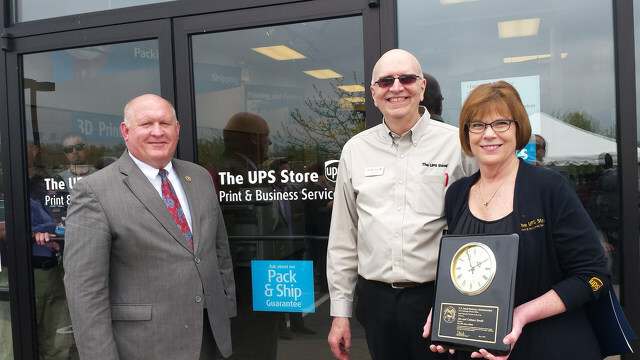 The State College husband and wife team, who own the UPS Store at 19 Colonnade Way, were named the Small Business Persons of the Year by the Small Business Administration's Pittsburgh District Office. This honor puts the Smalls ahead of small business owners in 27 counties in western Pennsylvania. "We still can’t believe we were chosen for the award,” Jim Small says. “This is a tribute to all of the hard work of our employees." Colleen Small agrees the store's employees should be thanked for the award. "We wouldn’t be anywhere without our staff because our staff is wonderful," she says. "They always go above and beyond." The Smalls have owned the store for a decade, and credit their background working in a grocery store with their expertise in customer service. "We provide what I think is the best customer service in town," Colleen Small says. "The award means the world to us. We were so excited and pleased to be recognized. The people that came to see us was just the icing on the cake." One of those people was U.S. Congressman Glenn "GT" Thompson, who came by the store for the award presentation ceremony to congratulate the couple. “Small businesses are the backbone of our economy," Thompson says in a news release. "Jim and Colleen Small understand the challenges that new small business owners face and the rewards from hard work. I want to congratulate Jim and Colleen on receiving this well-deserved award and thank them for all they do in our community." Thompson gave the Smalls a congratulatory letter. The Smalls are the first Centre County business owners to win the award. They wouldn't have applied for the award without the encouragement of the Penn State Small Business Development Center. The Smalls leaned on the center for assistance when they first opened the store. "When I went to my first few meetings, I immediately would go to a corner because I thought everyone was staring at me,” Colleen Small says. A decade later, she is one of the most active and respected members of the SBDC. She is an ambassador to new members and has won an award within the organization. When the SBDC asked the Smalls if it could apply for the award, they never expected they would come out on top. The center worked with them to set up the application, and the good news followed. "I was very, very shocked," Colleen Small says. "It’s the first time anyone in the county has won this award, so I’m very honored to say the least." Zach Berger is the managing editor of StateCollege.com. He graduated from Penn State University in 2014 with a degree in print journalism. Zach enjoys writing about a variety of topics ranging from football to government, music, and everything in between. 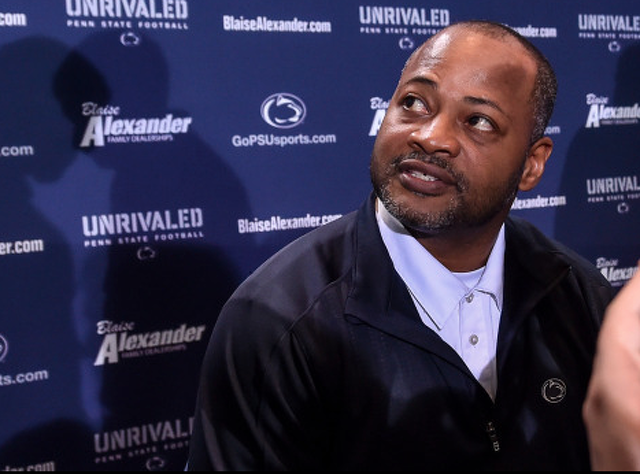 It's hard to imagine that a Penn State alum on Penn State's coaching staff could be considered the outsider. But that's life for cornerbacks' coach Terry Smith.